Disney Theatrical Productions and Broadway In Chicago announced today that, due to popular demand, the eagerly-anticipated North American tour of Disney’s Aladdin will extend its stay in Chicago at the Cadillac Palace Theatre (151 W. Randolph Street) through September 10, 2017; there will be no further extensions. More than 187,000 tickets for the newly-announced performances from July 5 to September 10, 2017 will go on sale Friday, April 7. The hit Broadway musical will begin performances on Tuesday, April 11, 2017 in Chicago at the Cadillac Palace Theatre in preparation for a Wednesday, April 19 opening night. As previously announced, Adam Jacobs, who originated the title role in Aladdin on Broadway, will play the iconic role on tour. In Chicago, tickets are available at all Broadway In Chicago Box Offices (24 W. Randolph St., 151 W. Randolph St., 18 W. Monroe St. and 175 E. Chestnut), the Broadway In Chicago Ticket Line at (800) 775-2000, all Ticketmaster retail locations and online. A select number of Premium Ticket Packages, which include a prime seat location, a commemorative souvenir program and an exclusive merchandise item, are also available for many performances. Group tickets for 15 or more are available by calling Broadway In Chicago Group Sales at (312) 977-1710. 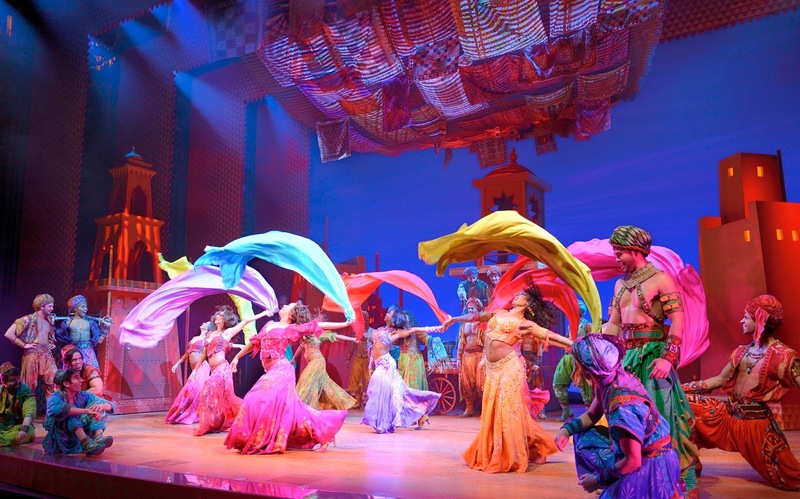 Click HERE for a complete performance schedule for Aladdin. Ticket buyers are reminded that Broadway In Chicago theatres and www.BroadwayInChicago.com are the only official retail ticket outlets for all performances at the Cadillac Palace Theatre. Ticket buyers who purchase tickets from a ticket broker or any third party should be aware that Broadway In Chicago is unable to reprint or replace lost or stolen tickets and is unable to contact patrons with information regarding time changes or other pertinent updates regarding the performance.